Today I celebrate the event that makes everything– everything!— different for me! Jesus Christ, who died, is ALIVE! My purpose comes from the resurrection. The resurrection puts weights in my shoes, tethers me from drifting into nothingness. The resurrection injects meaning into my daily life like a holy syringe. On Easter morning, I wake with this feeling of power and pride– pride in my Savior and joy in knowing that the Spirit that raised Christ from the dead is living in me! Makes me want to start throwing air punches along to the Rocky theme song! Or how about this song instead? This is one of my favorite songs about Easter, especially for the line, “The mouth of the tomb shouted, ‘Glory! The groom is alive! '” So. Good. 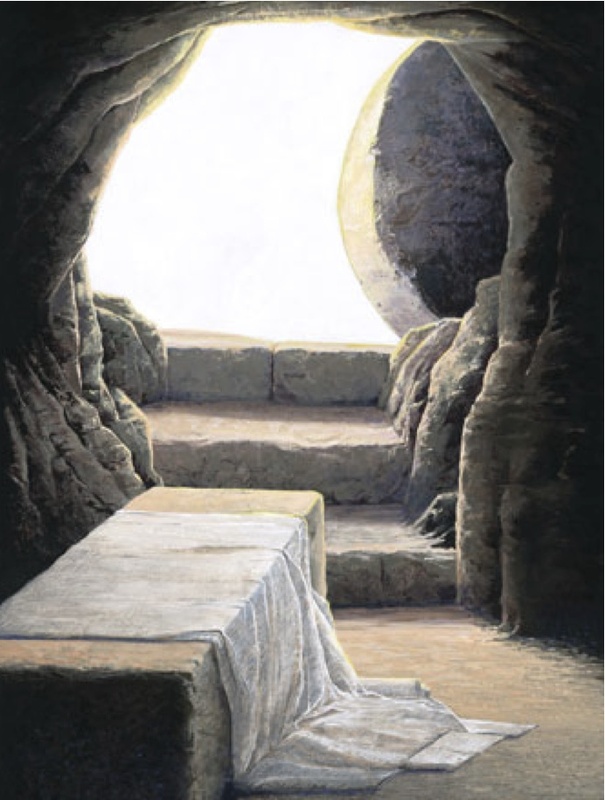 Enjoy, and may you truly REVEL in the delight of the resurrection today and every day. I leaned my head against the back of the couch, thinking. “Um … there were seven votives lit on the stage. Different people went up to the microphone; each one read one of the seven last things Christ said on the cross and then extinguished one of the candles. So, after all seven people had read, we were in the dark in the sanctuary.” I could picture Ellen, on my left, growing uncomfortable as the light had diminished. On my right had sat Sophie, her big brown eyes taking in the scene. “As if you’d lived a day too long, and now there was nothing for you,” I said, identifying as I knew Ruth wanted but not sure of her point. telling me I was there. echoes the beat of hammers. I’m one of those people who can’t tackle giant rollercoasters because of the long, slow, clicking rise to the top. Not the way down! 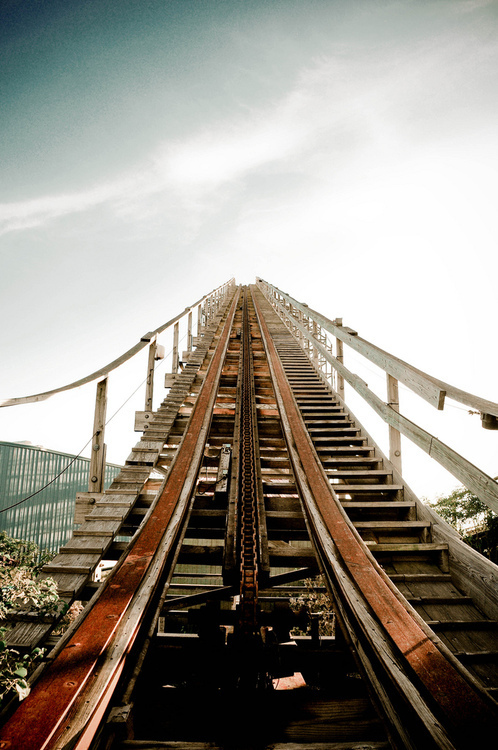 I could probably handle the drop, but I cannot deal with that painful rise, that horrible anticipation. Tonight I’m thinking about Gethsemane, about the weight of anticipation on Christ’s shoulders as he looks forward and sees the cat o’ nine tails, the cross, the nails, and so much blood. To know fully what is only hours away … anguish. But he knew he was destined for the cross long before the garden that night … his whole life … and even before his earthly birth … for all of eternity. That, my friends, is a long time to ride the rollercoaster up. I am so proud of my savior. 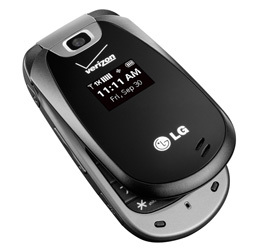 This is my phone, an LG Revere. It’s nothing special, just a little flip phone with the ten-key buttons on it. No internet, no data plan, no apps. There’s a camera, but it’s nothing to write home about. In fact, sometimes when my friends text me photos, I have to first save them to my phone just so that I can then zoom in and actually see whatever they’ve found so funny/interesting/atrocious, etc. Soon I realized that I wasn’t using the right vocabulary: the truth is that I could afford a smartphone plan– but I don’t value it highly enough to make that monthly commitment. I started to think about what I value enough to put my money toward. It’s quite easy to see when you examine my credit card statement: I value creative opportunities (working with the editor, attending a writing conference or author discussions), food/fellowship (I eat out a lot and love to treat my friends), and philanthropy/charity (helping fund missions and ministries, giving money to my church and also to Compassion International). Compassion International. What this post is really about. In 2005, I began sponsoring a young man named Antonio June. He was six years old and was too young to even send me letters himself; his mother wrote to me at first. This June, he turns fourteen, and I could not be more proud of him! He writes to me consistently, prays for me all the time, and has the sweetest heart. “Aunt Jackie” is his name for me, and I always find it just precious to see that he has written out his letter to me first in pencil, then traced over it with pen, wanting it to be perfect. Hello! I’ve got a joy, joy down in my heart because I got two letters from you. I am proud of you, your eagerness to write me your prayers and support. Pray for me not to get sick and my family also. We pray for your wisdom and knowledge in writing your book. How cute can you get?? 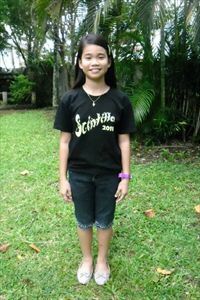 In 2007, I decided to begin sponsoring Jona, and what a joy it is to know and love her! She is gorgeous and loving and plays the tambourine and dances. With some birthday money I sent to her, she bought “a skinny jean” (pictured at left). So precious! You know what, Miss Jackie, I have a new ministry in our church. I am involved in children’s ministry and I am happy because it is one of my dreams to teach the children about the Word of God. I thank God for his unending support to me. He is always in our hearts every time we teach the children. I am starting to read the book you gave to me. 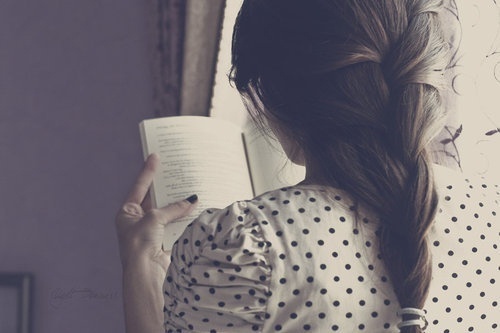 I love reading books. I am proud of you, Miss Jackie. Then in 2008, I decided to take on another sponsorship. Today Claire is ten years old and one of the smartest little girls I know– and so, so generous and caring toward others. Even though she is poor enough to need a sponsor, this little girl also gives gifts to others in need. Claire’s nickname is “Bea,” which means “blessing,” and what a blessing she is to me! She’s so precocious and sweet. Easter is also my favorite time because Jesus is alive. Yes, I am also very happy that Jesus is alive and He is in our hearts. I have seen on TV that people hunt eggs during Easter. Why? What does it mean? My parents say hi to you and your family. I love you, Aunt Jackie. But here’s the kicker. Ready for this? 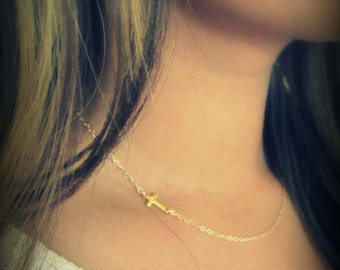 Thank you again for the Christmas gift and also for the Narnia book you gave me. I am reading it and I like it very much. I like Queen Lucy, Queen Susan, King Edmund and King Peter. They’re very brave. But I like Aslan because He is like Jesus our Savior. Anyway, I love these kiddos, and right now, I really want to encourage anyone who wants to release children from poverty in the name of Jesus to join me as a Compassion sponsor. What will you value enough to put your money toward? Compassion has invited me and other sponsors to create our own mini-websites about our experiences as sponsors. You can see mine at http://my.compassionsunday.com/jackieleasommers2013. At that same site, you can see Fransisco, a 7-year-old boy from Brazil, whom I handpicked because I truly want someone to sponsor him. Will you be that person? 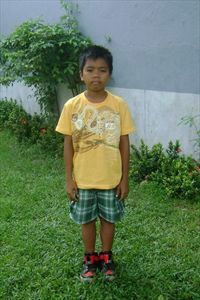 My goal is to have two of my friends, family members, or blog readers agree to sponsor a Compassion child. If that happens through my micro-site, they will give a $50 family gift to one of the families I support. I couldn’t pass up this opportunity. Think about it. Pray about it. Go to my micro-site and look into the sweet eyes of Francisco. It’s $38 a month, and worth much more than that in the blessings you will reap in knowing and helping a family. This is what I value. How about you? Eleanor and Park by Rainbow Rowell | “It’s 1986 and two star-crossed teens are smart enough to know that first love almost never lasts, but brave and desperate enough to try.” I loved this book, devoured it. You will just adore the sweet characters of Eleanor and Park and their adorable little romance. It started with such a slow burn that even holding hands was enough to about make them both pass out. I loved Rowell’s writing so much and am definitely going to purchase her other books. I thought the end of this story came a little too abruptly, but altogether, I really adored this YA book. I think it might end up being a big name in the YA world. You should probably read it. Something Like Normal by Trish Doller | Travis is a Marine on leave, struggling with PTSD and learning how to sort through home life when his little brother has stolen his car and his girlfriend. But there is this other girl in town– Harper– who makes Travis feel like things could be okay again, even after all he’s experienced in Afghanistan. This book had so much potential— but it just fell flat. The conflict was far too easily resolved (says the writer who always needs to add more conflict! ), and even the climax was just too … anti-climactic. I plowed through this book, and it had some great moments, but it fell short for me. Under the Never Sky by Veronica Rossi | Aria lives in an enclosed biosphere; Perry lives on the outside like a “savage”; this is their story. I got so sucked into this one, especially loving the characters and all the conflict (especially after just reading Something Like Normal). This book has awesome tension! However … I have read enough books to anticipate how the story arcs, and as it was nearing the end of the book, it wasn’t arcing. I began to have a strong suspicion that this was a part of a series and that I wasn’t going to get my ending, and so I started resenting it. (Ha! I know that seems wrong: if I was enjoying it, shouldn’t I have wanted it to last longer?) But no. It started to feel too long, too drawn out. I wanted a denoument and it just kept going. And then the ending was like HUH? I verbatim said, “What the BEEEEEP?” outloud after I finished it. Then I looked it up, and yup, it’s the first book of a trilogy. I was pissed. (I don’t know what exactly is my beef with series; I love Potter and Narnia!) So, this one is up to you. They really are great characters. And it’s a fascinating world– the “insiders” in the biosphere spend most of their lives in virtual realms, and it’s quite interesting to think about. And the writing is pretty good– not exactly lyrical or anything. But if you’re going to read it, you should commit to reading the others (which are not out yet), or the ending is going to be really unsatisfying. Armageddon Summer by Jane Yolen and Bruce Coville | Jed’s father and Marina’s mother are Believers, members of a religious group that believes the world is ending on July 27th, 2000, and only the 144 Believers on Mount Weeupcut will be saved. Jed and Marina aren’t quite sure what they think about the whole thing, but they’re up on the “the Cut” for the two weeks leading up to Armageddon, thinking that falling in love at the end of the world might not be the best timing. I liked this book, but again, it didn’t blow my mind. I do think it was intended for younger readers (maybe ages 11-14), and I do think it would be a fascinating read for them. Not that I think anyone should ever “write down” to younger kids. It just didn’t go as deep into Jed and Marina’s thoughts, fears, and sorrows as much as I’d have liked. But it did bring up some great questions– I love books that make you think! Not sure yet. I have SO MANY new books on my shelves, and I really think I want the next book I read to be just a regular-teenagers-in-this-universe book. Maybe Stupid Fast by Geoff Herbach. Tonight, I have been thinking about that deep, dark pit and the moments of my life when I was at the very bottom, nowhere lower to go and my head too heavy to look up. I have been thinking about the things and places that remind me of those times. You might guess that it was those months after college graduation, when I would wander from the laundry room to look over the balcony to the pool area two floors below and think about what would happen if I let myself fall. 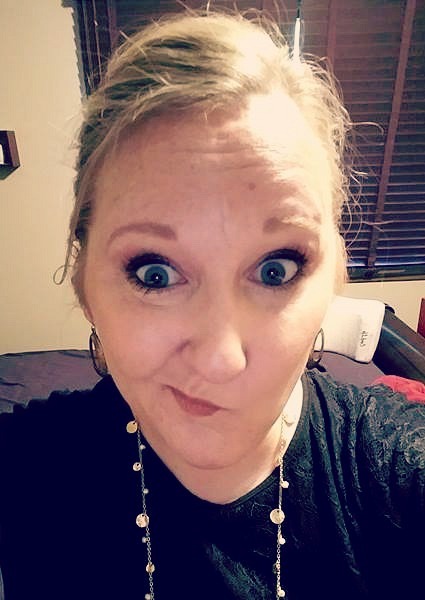 Or maybe that it would be one of those evenings when I was wild-eyed and manic, scream-weeping in the bathroom while my roommate sat outside the door and prayed. But when I think of myself at my lowest, I always picture myself in the Caribou Coffee in Long Lake, Minnesota. I’d arrived to town too early to visit Orono High School, and so I stopped into Caribou off of Highway 12 (which has since been re-routed), ordered hot cocoa, and sat alone at a table. In my car I had been listening to “Spirit” by the band Switchfoot, letting the chorus hammer into me that all I wanted was Jesus … exactly whom I believed I could not have. Interestingly, the emotion that I seemed to feel the most was this odd, lonely marvel. Don’t get me wrong– it was not good, as marvel usually is. 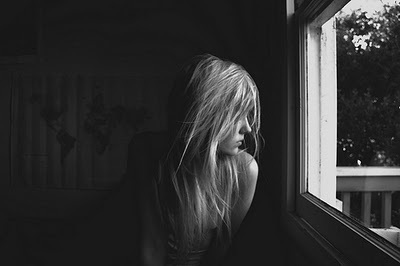 It was this dark, lost, inconceivable wonder that I could be so damned and that there was nothing I could do about it. I sipped at my cocoa, thinking how there was no joy left available to me, no rescue coming, no prayer I could whisper to make things okay again. A marvel and a sort of understanding washing over me that this was my reality and there was no way out. For years, I could not listen to that song (which truly is a lovely one!) without feeling a stale depression steal over me. To this day, when I drive by that Caribou, I think to that dark day. Nothing impressive or strange or particularly triggering had occurred, but it is my lowest, loneliest moment of my life. I could not have pulled myself out of that pit. I didn’t even have the strength to lift my eyes. Jesus Christ rescued me. He led me to the right medication and the right therapy and carried me out of the pit himself. In the past couple of weeks, I have gotten several emails from fellow obsessive-compulsives who are in that same pit. I write this post to say that there is hope– and it’s not in ourselves. 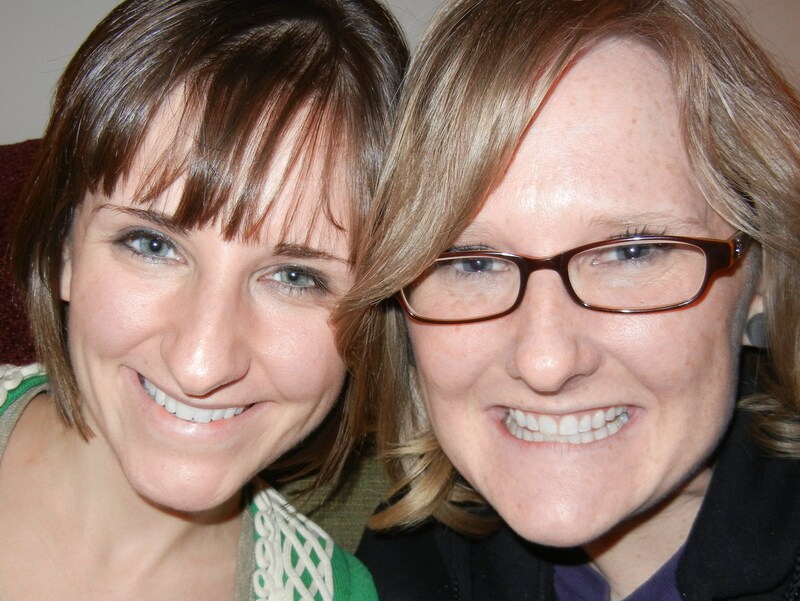 My best friend Erica is four years younger than me, so I was already done with college before she even started it– and when the time came, she headed off to school in Chicago, leaving me behind in the Twin Cities to carve my way without her. Our friendship had never been tested by distance before– who were we to know if it could withstand all those miles? About a month into the school year, I drove out to Chicago to spend the weekend with her, and one night, we ended up sitting alone in a lounge, share our hearts and secrets and fears, our prayer requests, our tears. And that’s when I knew our friendship was a lasting one. I wrote a poem about it, about three years after college graduation. It was actually a big deal because– surprise, surprise– I actually didn’t write for the first three years after I got my writing degree. My creativity was sapped, my OCD was out of control, and I hadn’t experienced enough of life yet to really have much to say. So this poem was important. Not only did it get my creative juices flowing again, but when I stumbled upon a girl from my writing program in a stairwell one day, I mentioned to her that I had been working on this poem and asked if she’d take a look. Anna and I started to meet together to talk about writing and soon decided to invite others to join us. That is the start of my writing group, which is still going strong in our seventh year. All that to say, the following is not the best work I have ever produced– but it is one of the most important poems I have written because of all that transpired after. Seven years later, I am working hard on my second manuscript, maintain a daily blog, and Can. Not. Stop. Writing. bidding good day to friends drunk on the festive flavor of reunion. for the near or distant future. “Come, Ye Sinners,” and they do. Come. cupped and strong, award solid and abundant support. while joy rises and falls: offering and receipt. 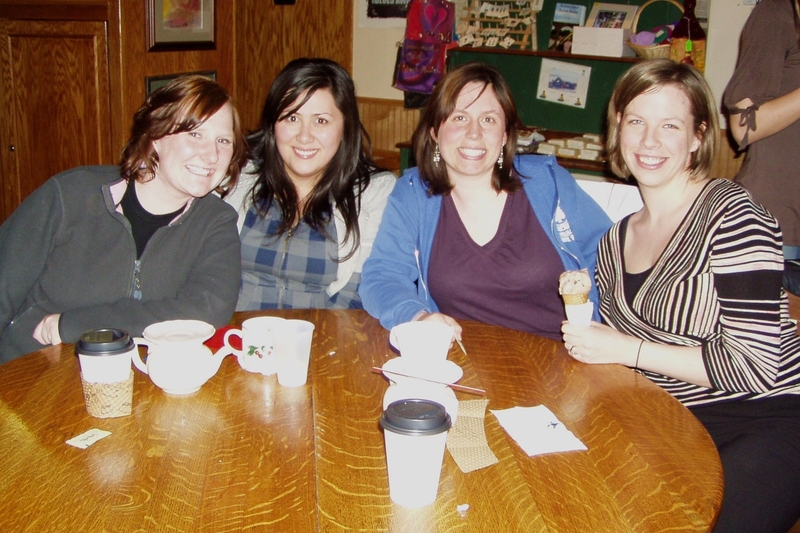 four of the early writing group members … all four are still in it! Is anyone planning to go to the OCD Conference in Atlanta this summer? I’d be interested in attending if I had someone to split hotel costs and pal around with! Me: Sad, guilty, full of continual anxiety and doubt. I had this amazing family, friends who deeply loved me, and a college degree in a field that I loved … but I was a soul in anguish. Dad: Upset, frustrated, reluctant to discuss anything OCD-related. He couldn’t understand how my life could be so good and yet I could be so sad. I think it was hard for him to see his daughter suffering from a pain he couldn’t fix. Mom: Sympathetic, sorry, and wondering if she was to blame for this disorder that was ravaging her eldest. Sister: Confused and scared. Sharing a room with me, she had fallen asleep to the sound of my tears every night for– literally– years. And now, all these years later, she feels guilty that she had listened to me when I asked her not to tell. Brother: Annoyed. Why couldn’t his oldest sister just be normal for once instead of a nutcase? 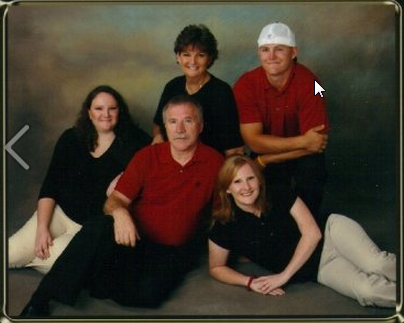 OCD affects the whole family. I am so grateful that God led me to the exact right doctors to help me! My psychiatrist got me onto the right cocktail of medication and referred me to cognitive-behavioral therapy, which changed my whole life!